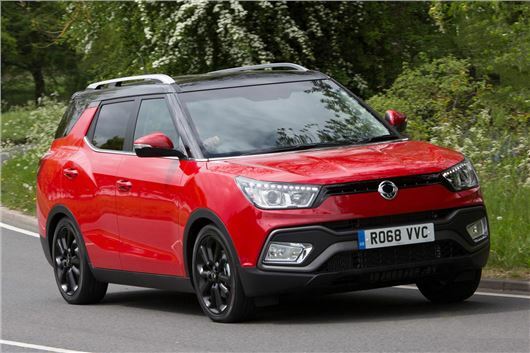 SsangYong has launched a seven-year 150,000-mile warranty for all its models, including the affordable Tivoli crossover. The firm announced a seven-year warranty for the Musso and Rexton when the former was launched earlier in 2018; now it's being rolled out across the range. It applies to all new SsangYong vehicles registered from 1 October 2018 and is being applied retrospectively to all new Rextons sold since it was launched in October 2017. Customers wishing to take up the free warranty upgrade can do so at their dealership or at their next service. Other SsangYong models sold between 1 January and 30 September 2018 can have the warranty applied for £500. The new warranty covers all the major mechanical components including wheel bearings, suspension joints and bushes, steering joints, shock absorbers and the audio system. Wearable components such as clutch discs and brake friction materials are covered for one year or 12,500 miles, and the battery and paintwork for three years. Other manufacturers offering seven-year warranties include Kia and MG.
Makes Ford's 1 year full warranty+ 2yrs insurance cover warranty(foc) look even worse value - maybe Ford have less faith in their products! Surprising that things like suspension bushes are included when a lot of other manufacturers would class them as wear and tear items. Surprising, but good. Sounds like SsangYong are trying to appeal to budget-conscious buyers as Kia and Hyundai did back in the day. Hopefully it'll work out for them.